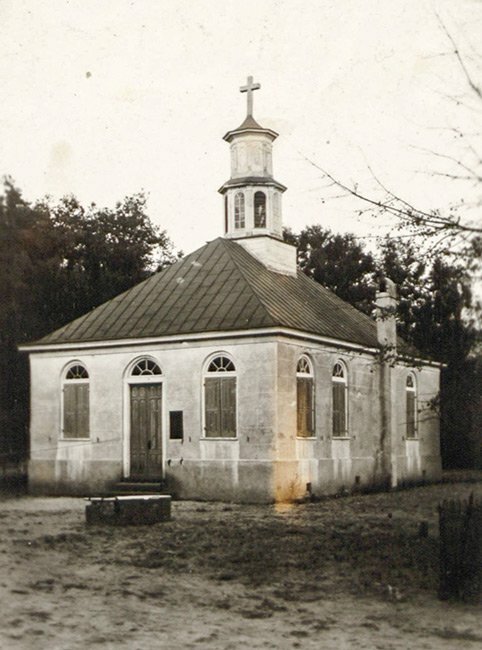 Christ Church in Mount Pleasant was completed in 1727 for Christ Church Parish, one of the 10 original parishes established in the province of Carolina following the Church Act of 1706. It replaced a wooden church built here in 1708 and destroyed by fire in 1725. The Church Act made the Church of England the official church in the colony. Each parish’s church served as the epicenter of both religious and political activity – recording births, deaths, marriages, and even acting as a precinct when electing vestrymen to represent the parish. The Church Act was abolished in 1778 during the Revolutionary War. In 1782 Christ Church once again suffered a fire when British soldiers set it ablaze as they retreated from the area. Though the exterior walls survived, a complete restoration of the interior as well as the roof occurred in 1787. The church’s first cupola was added during this time. 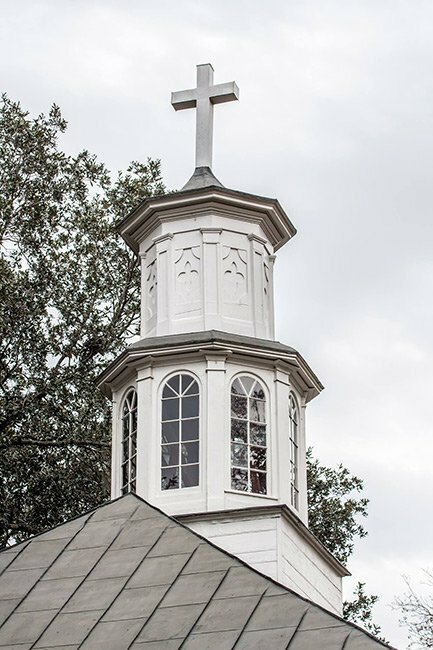 It was replaced with the present cupola in 1835 when further renovations took place. The vestry house, seen below, is where the governing body of the church gathered for meetings. 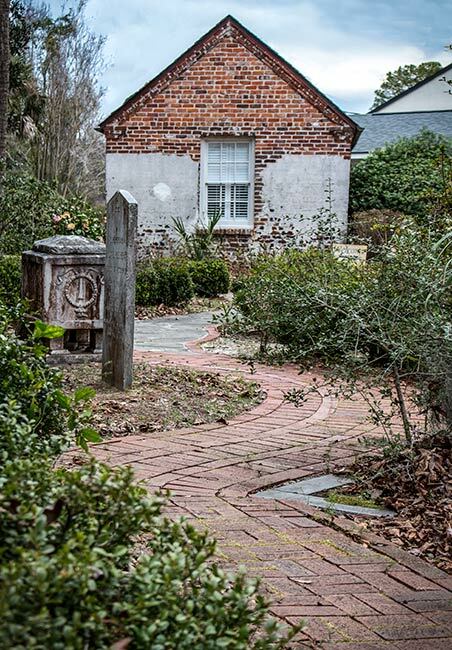 The brick structure was built in 1751 and was burned along with the church in 1782. It was rebuilt six years later, and church members restored the historical building in 1939. 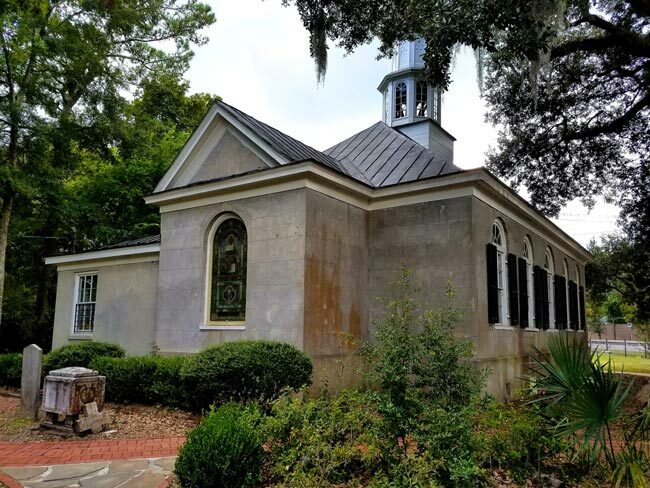 Following damage inflicted by 1989’s Hurricane Hugo, the vestry house was once again repaired, followed by another restoration in 2014. Today the church uses the building as classroom and office space as well as a gathering place for the youth of the congregation. 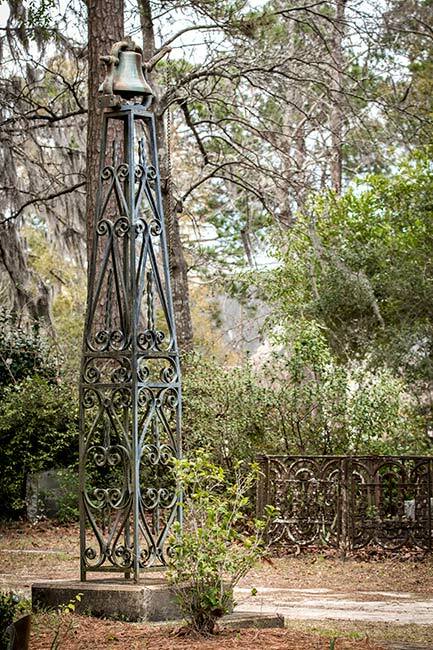 Notable members of the vestry include Governor Charles Pinckney of nearby Snee Farm and signers of the Declaration of Independence Thomas Lynch, Jr. and Edward Rutledge. Towards the end of the Civil War, Union troops used the sanctuary as a horse stable and left the interior once again in shambles. A renovation in 1874 replaced the floors, doors, and windows, which remain today. Structural improvements to the church continued throughout the twentieth century, including the addition of the building’s wings in 1961. 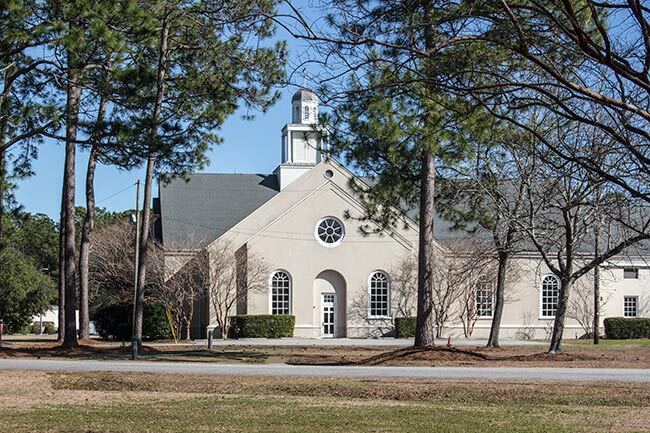 A new sanctuary to accommodate the growing congregation was added to the rear of the church property and dedicated in 1996, and other educational and fellowship buildings were added in 2003. Pictured below, the new sanctuary’s architectural design complements the historical church structure. (Christ Episcopal Church) Architecturally, Christ Church is representative of the continuous ingenuity displayed by a rural community in keeping its religious center operative. The original early colonial architecture has been adapted several times as the result of numerous events in the church’s long history which have necessitated reconstruction and improvement, but essentially its colonial architectural integrity has been maintained. 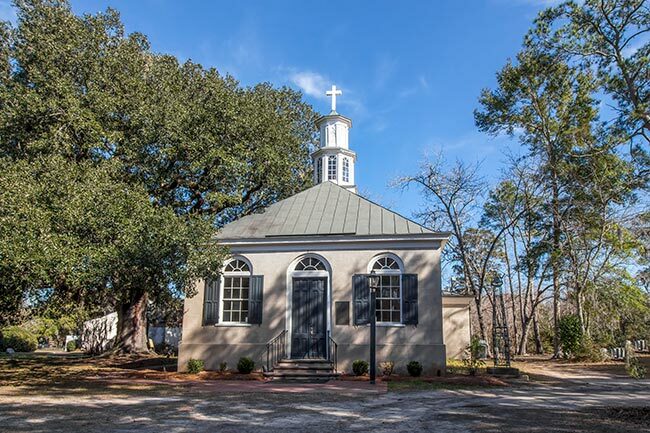 This rectangular brick structure was built in 1726 for Christ Church Parish, which was established in 1706. Originally, double entrances were place in the north and south walls, each door being flanked by two windows to the west and one to the east. The east and west walls each contained three evenly spaced windows. Construction was a continuous process, and before the Revolutionary War several additions and alterations were made. The church was burned by retreating British soldiers in 1782. The solid brick walls survived the fire and restoration of the interior, roof, and woodwork was undertaken in 1787. It was then that the first cupola was added. Towards the close of the Civil War a company of Union cavalry used the church as a stable and the interior was wrecked. All that remained were four walls and a roof. Repairs were completed in 1874. In 1961 the wings were added on each side of the chancel as a sacristy and a rector’s office.